Pen Master Bundle: one Pen Master NoFlex mandrel live centre & one Pen Master adjustable mandrel MT2. For lathes with Morse Taper 2. Pen Master NoFlex mandrel Live Centre presses on the bushing rather than the end of the mandrel shaft. This eliminates bending of the mandrel shaft. 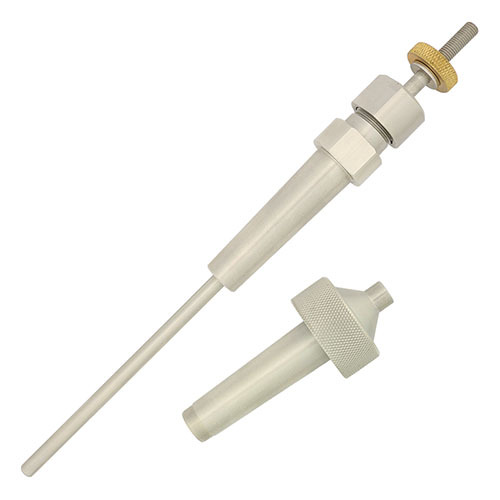 Pen Master adjustable mandrel easily adapts to different length projects. Simply mount your tubes and bushings then slide the shaft to the appropriate length and lock it in place. The shorter shaft reduces the likelihood of the mandrel shaft bowing. The collet is tightened with two wrenches (NOT included).